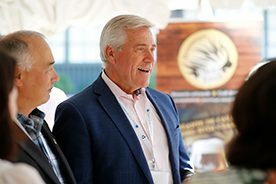 SAINT ANDREWS, NB, July 19, 2018 – Improving access to global markets for Canada’s exports, assuring a responsible and predictable regulatory regime and ensuring workers have the skills they need to meet today’s challenges and tomorrow’s opportunities are key to supporting sustainable prosperity for Canadians. Canada’s natural resource sector is vitally important to the economy. In 2016, natural resources directly and indirectly accounted for 1.74 million jobs in Canada and 16% of Canadian GDP. No other country in the G7 depends so heavily on natural resources as Canada to support their economic well-being. Ensuring our resources get to market in an efficient and timely manner contributes to a strong and stable economy, where jobs and opportunities abound. 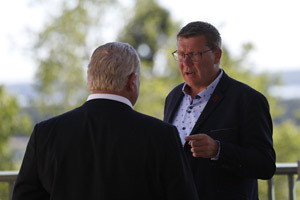 Canada’s Premiers agree on the need to address the elements of improving market access, including a robust and predictable regulatory environment, efficient transportation systems, a reputable environmental track record, and a focus on accessing new and diverse markets. When these elements are all effectively in place, all Canadians benefit from strong, sustainable, and forward-looking industries. Premiers also discussed the importance of a skilled, adaptable and inclusive labour market that contributes to sustaining and building economic opportunities. Provinces and Territories play a key role in ensuring that all Canadians can obtain the skills they need to succeed in today’s labour market. 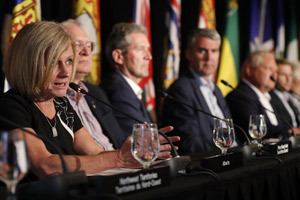 Premiers stressed the need to continue to find meaningful ways to support everyone, including under-represented groups, in obtaining job skills and training. 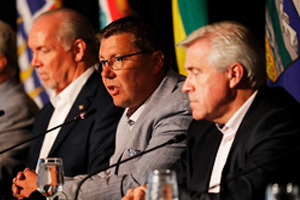 Premiers reiterated the importance of supporting labour mobility within Canada and agreed to explore opportunities to expand regional initiatives more broadly. Premiers’ discussions highlighted the importance of broadening access to global markets in order to grow the economy and create jobs. Diversifying Canada’s export markets to reduce our dependency on specific markets and ensure Canadians get full value for our products and resources is essential. Premiers agree on the necessity of moving Canada’s resources to market in timely, predictable, and sustainable ways that Canadians trust through strategic infrastructure including roads, railways, bridges, ports, pipelines and airports as a way to attract investment and grow our economy. An attractive investment climate is bolstered by strong environmental standards and a clear regulatory framework. Premiers agree that it is critical for Canada to maintain the confidence of the international investment community and be viewed as a safe and reliable place to conduct business. 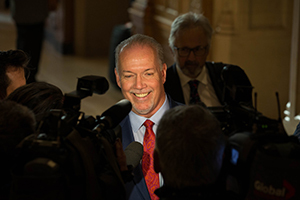 Premiers share a commitment to ensuring that products and resources in Canada can be moved to market in an economically efficient and socially and environmentally responsible manner, and that governments abide by regulatory and legal decisions.